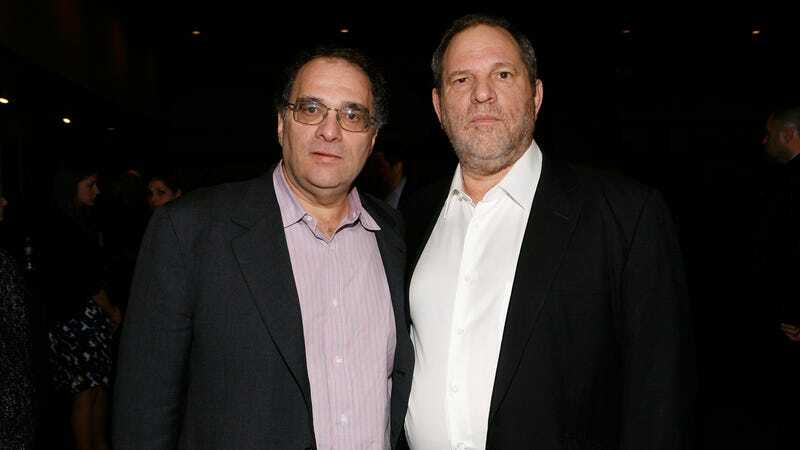 Bob Weinstein calls his brother "sick and depraved"
But, Weinstein contends, “The members of the board, including myself, did not know the extent of my brother’s actions.” When pressed on that point, Weinstein cited a five-year-long personal separation between himself and Harvey, brought on by the elder Weinstein’s abusive nature, and portrays himself as another of his brother’s victims (although he was careful to note “I do not put myself in the category at all of those women that he hurt”). Meanwhile, though, Weinstein refused to directly discuss the terms of Harvey Weinstein’s contract, which appears to include clauses specifically designed to punish him for (and then absolve him of) the exact same behaviors he’s now been accused of committing. Mimicking points made by other high-level members of the company, Weinstein says he thought his brother was just having multiple consensual affairs, and failed to draw a line between what he knew of Harvey’s professional and personal conduct, and his treatment of the women around him. Repeating what he said in a statement yesterday, Weinstein was adamant that The Weinstein Co. would persist, albeit with a new, “non-familial” name. He was also vocal about keeping his brother away from the company going forward, calling his legal efforts to return “a losing fight” and stating that he’s working to “sever” Harvey’s ownership interest.